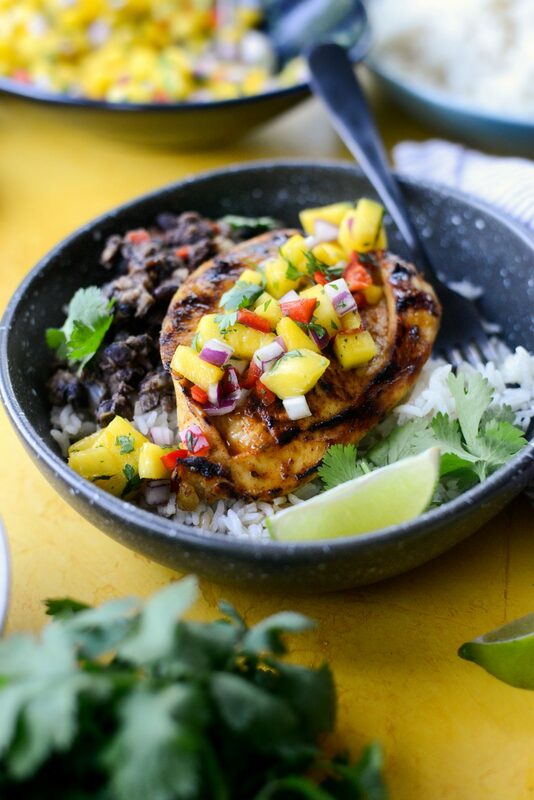 Spice up your dinner menu with this Grilled Cuban Mojo Chicken! 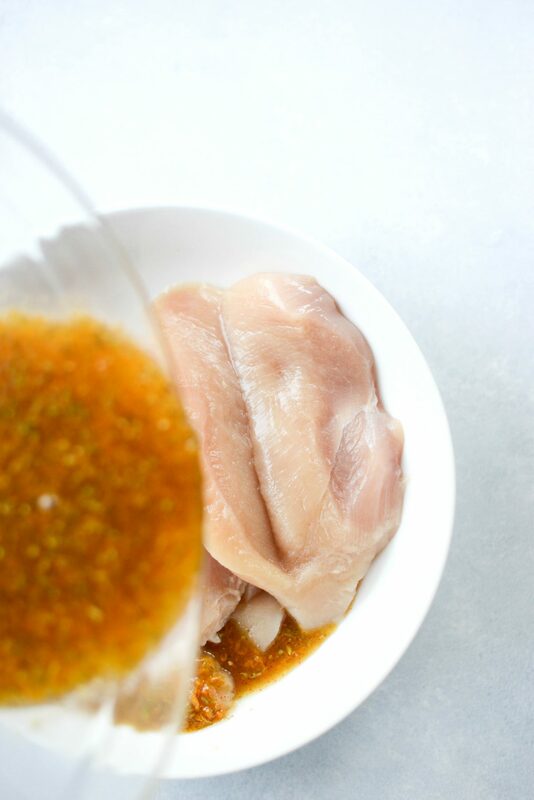 Chicken breasts quickly marinate in a garlicky citrus infused marinade before being grilled to perfection. 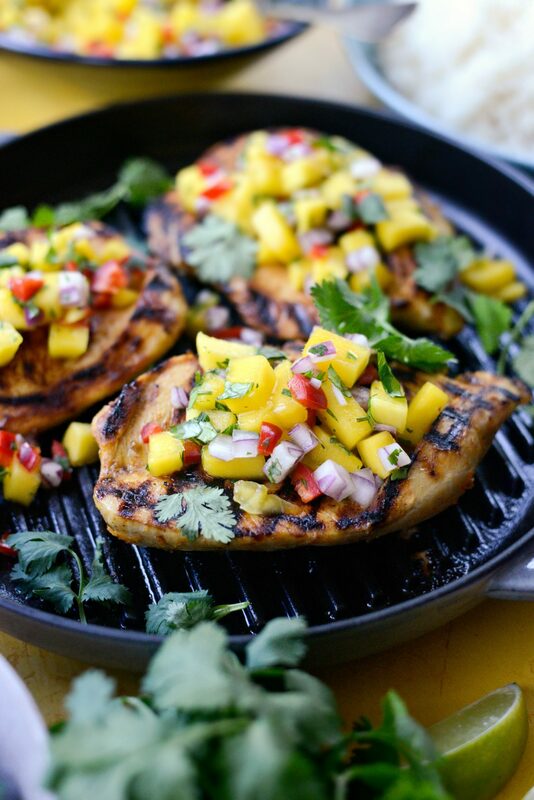 Topped with a simple mango salsa and served with rice and cuban style black beans for the ultimate dinner. Serves 2 to 4 in about 45 minutes. You know how sometimes you fall in a rut? I was in that rut. Who am I kidding, I’m always in a dinner rut. I’ve been making the same recipes these past few weeks. When I find myself in a rut, I know I need to break out and make something bright in flavor and colorful. Sometimes it’s a nacho or a salad with a bunch of different toppings. But I recently stumbled upon a recipe in one of my millions of composition notebooks for a cuban mojo marinade recipe that I recalled making years ago. 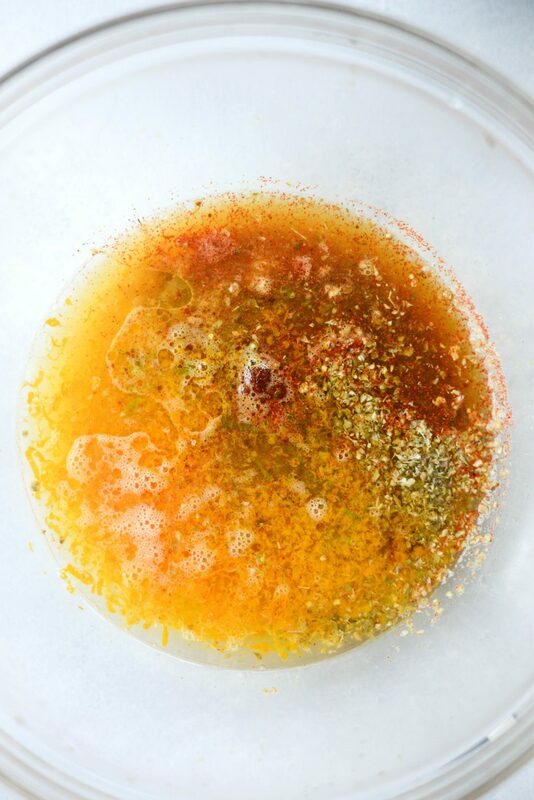 The cuban mojo marinade is a accumulation of citrus juice and zest with garlic and spices. 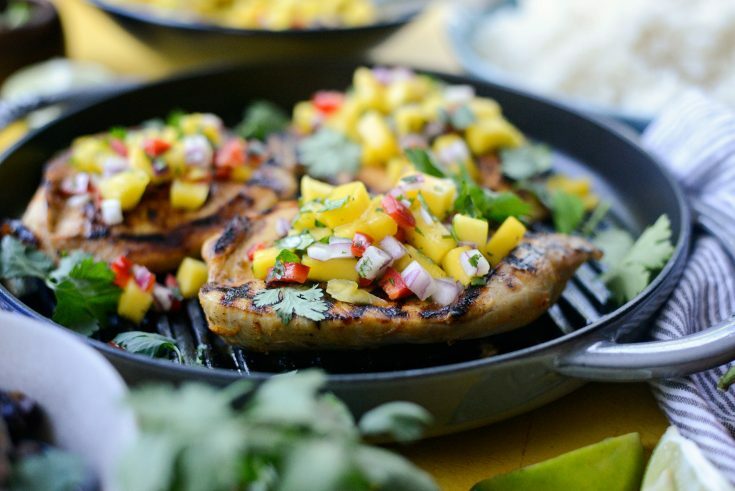 The chicken only needs a short period of time in the marinade before being grilled and then topped with a simple mango salsa. <—my kind of recipe. So easy and SO fresh. With the exception of the oil and spices, everything about this recipe is fresh. Fish citrus, vegetables and herbs. 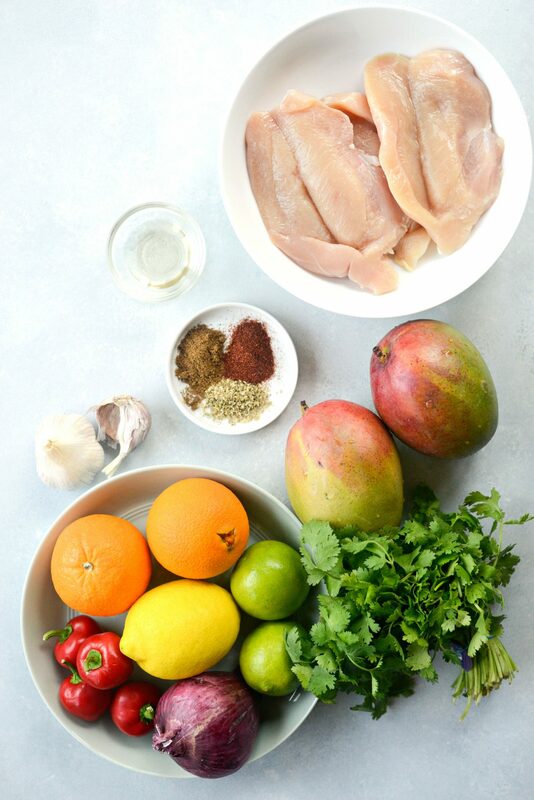 Starting with the grilled cuban mojo chicken, you will need chicken (obviously) and 2 to 3 oranges, a couple limes, a lemon, ground cumin, dried oregano and paprika. 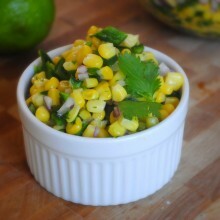 In a medium bowl add 1 tablespoon orange zest and the zest of 1 lime. Then the juice of 2 to 3 oranges (about 1/2 cup), 2 limes (about 1/4 cup) and the juice of 1/2 a lemon (2 tablespoons). Next measure and add in 1 tablespoon light olive oil, 3 cloves of fresh garlic and 1 teaspoon both ground cumin and paprika and 3/4 teaspoon dried oregano. Now whisk it all together and pour over 3 to 4 chicken breasts. Then toss the chicken to coat and marinate for 2o to 30 minutes. 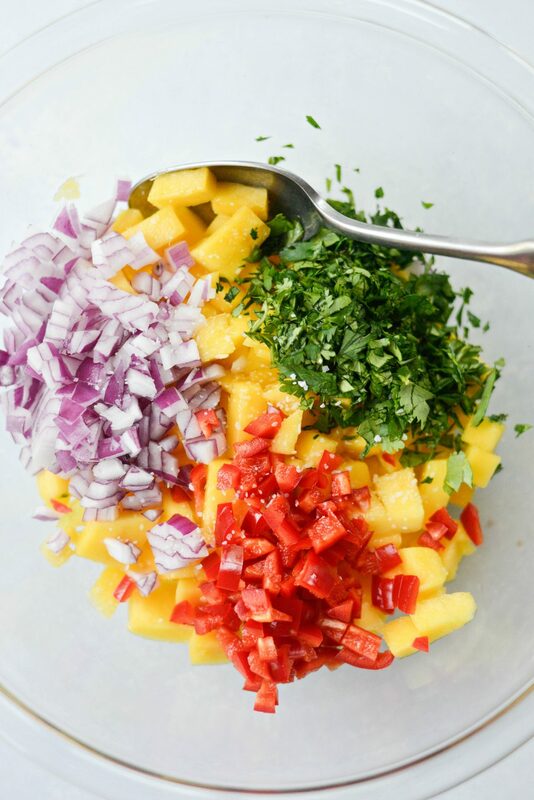 Meanwhile dice up two mangos and toss it into a bowl with 1/4 cup diced red onion, 1 to 2 cherry hot peppers (or your favorite), 2 tablespoons finely minced cilantro and a pinch of kosher salt. Then toss together and set it off to the side. Next, grill the chicken until no longer pink. 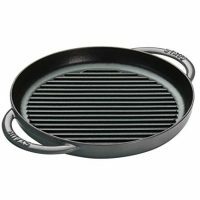 Depending on if you’re using a grill pan or an outdoor grill will depend on how long. I would preheat your outdoor gill to 400 to 450° and if you’re using a grill pan, preheat to medium to medium-high. 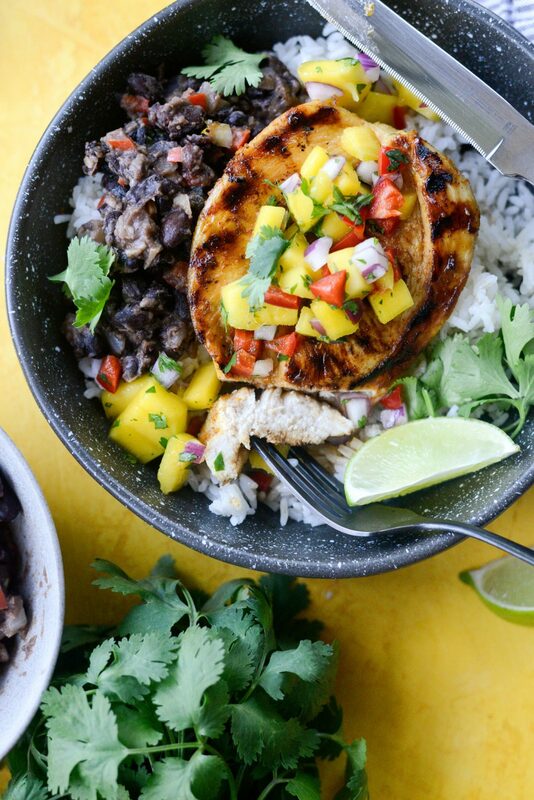 I added some rice to a bowl along with cuban style black beans and topped it with the grilled cuban mojo chicken and mango salsa. Everything together was a symphony of flavors for my tastebuds. Enjoy! And if you give this Grilled Cuban Mojo Chicken recipe a try, let me know! Snap a photo and tag me on twitter or instagram! 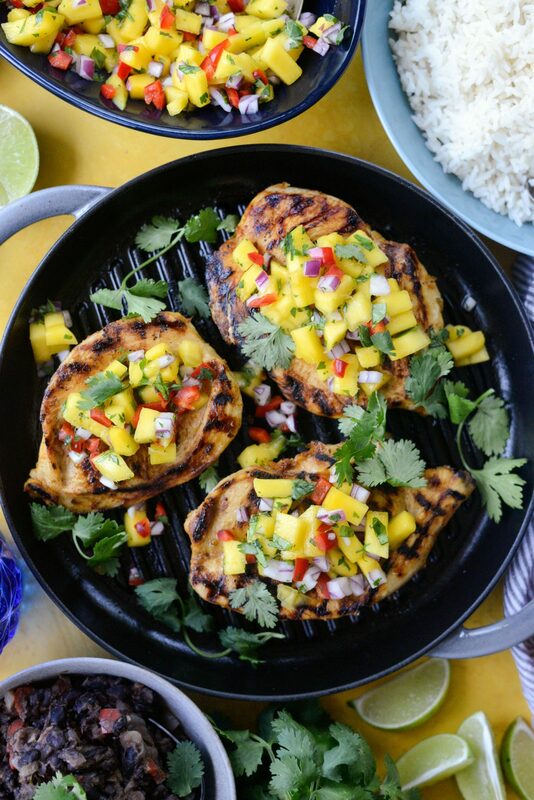 Spice up your menu with this Grilled Cuban Mojo Chicken! 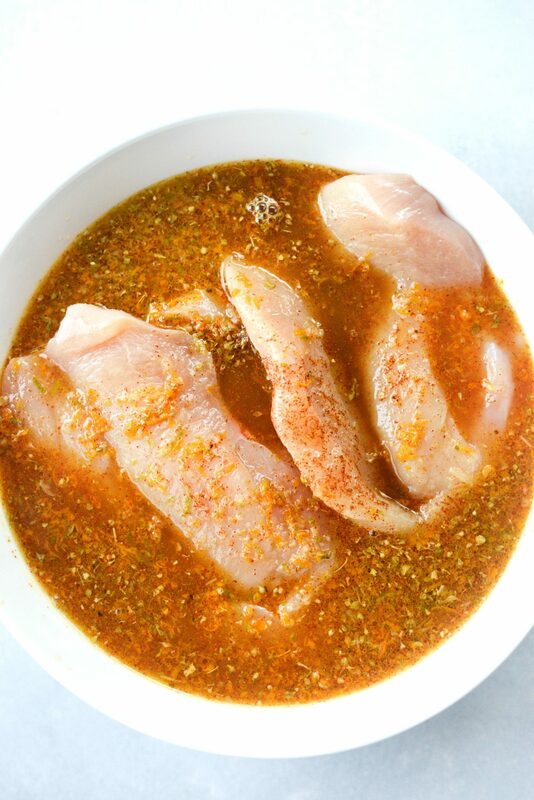 Chicken breasts quickly marinate in a garlicky citrus marinade before being grilled to perfection. 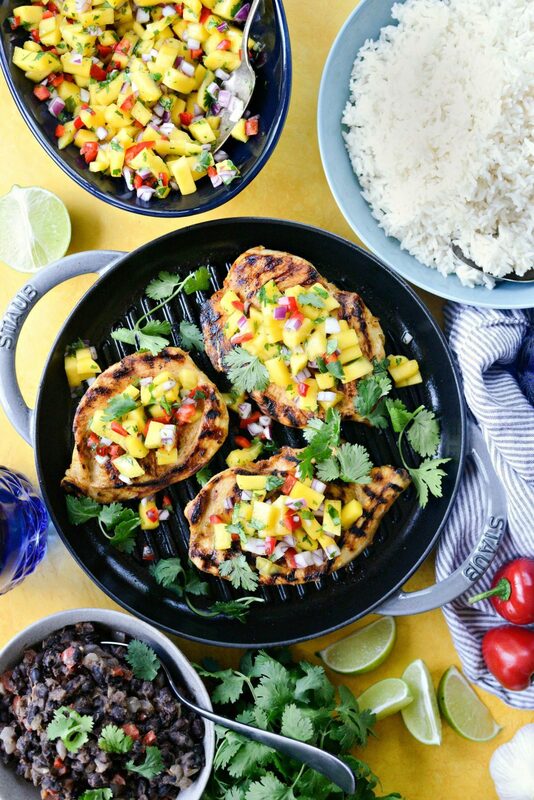 Topped with a simple mango salsa and served with rice and cuban style black beans for the ultimate dinner. Serves 2 to 4 in about 45 minutes. 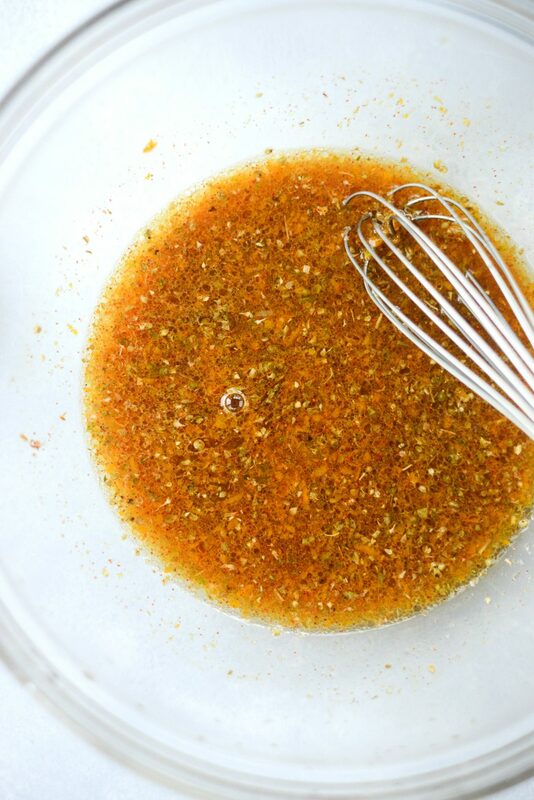 Measure and add the olive oil, garlic, citrus zest and juice and spices in a bowl, whisking well to combine. Add in the chicken and toss to coat. Marinate for not longer than 25 to 30 minutes. Meanwhile preheat your grill to 400and prepare the salsa. 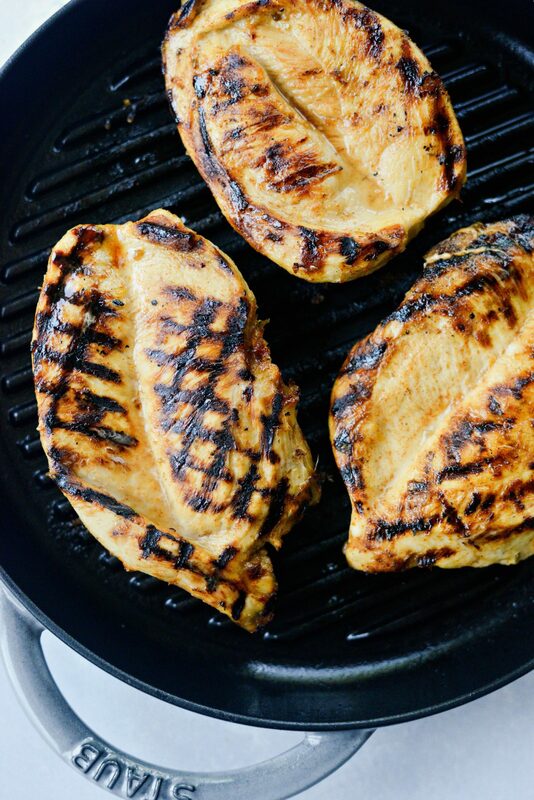 Grill the chicken until no longer pink. Depending on if you're using a grill pan or an outdoor grill will depend on how long. I would preheat your outdoor gill to 400 to 450° and if you're using a grill pan, preheat to medium to medium-high. Allow the chicken to rest for about 5 minutes before serving. 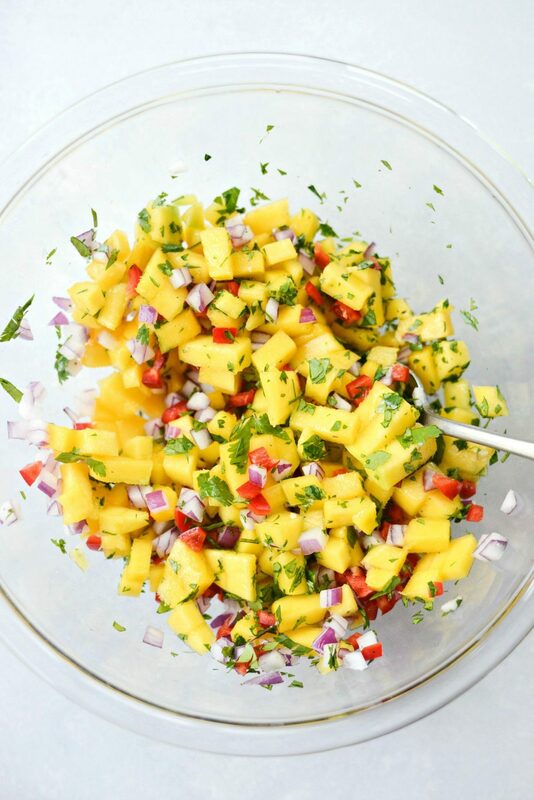 In a medium bowl combine the mango, onion, hot pepper and cilantro. Season with a few small pinches of kosher salt before tossing to combine. Top chicken with salsa and enjoy! Yaaaas I LOVE mojo chicken! So tender and flavorful!! 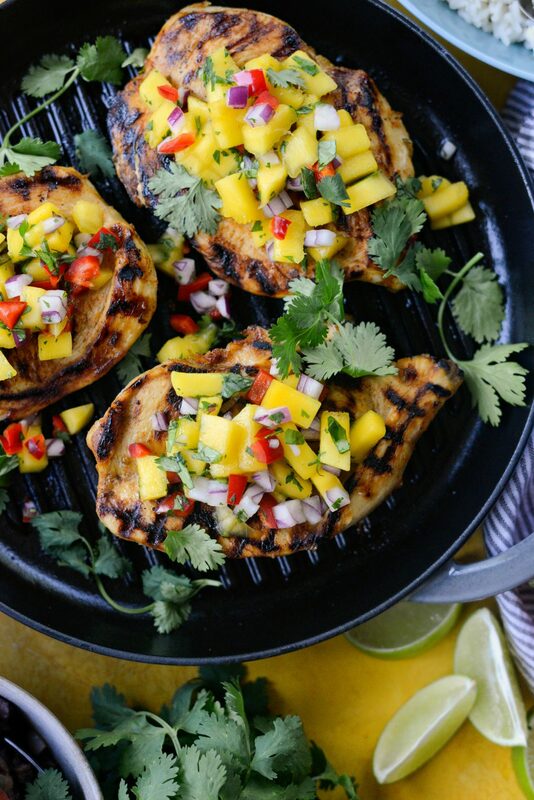 I feel like I’ve been in a dinner rut too, but this post definitely inspires me to fire up the grill and whip up some mango salsa…what a beautiful dinner idea! Love your blog and recipes!! This looks great and will be giving it a try soon. Thank you Mona! I’m so glad. And that’s hilarious. Obviously I’m dreaming about avocados while typing about mangos. HA! thanks for kindly pointing that out. I hope you enjoy the recipe! 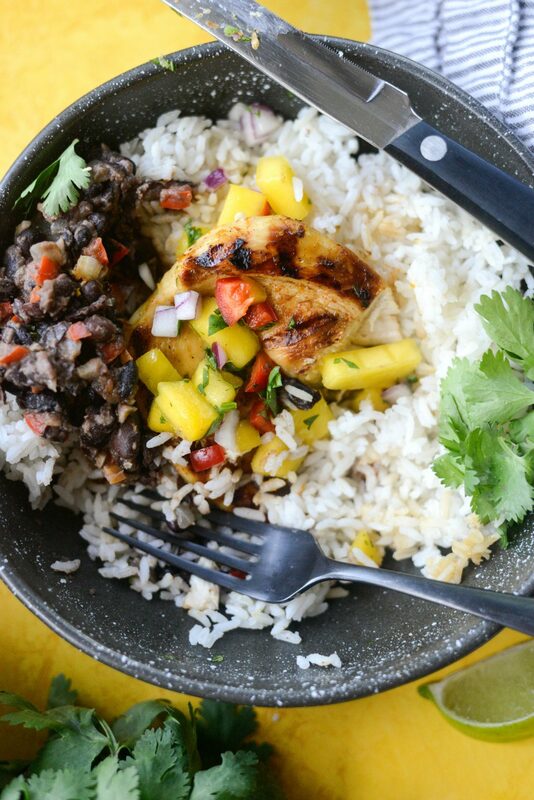 The Cuban chicken mojo with mango salsa is to the point but Cubans don’t cook with hot peppers so that’s up to your taste…but make sure those black beans have some liquid so you can pour over the rice, the ones in the pic are very dry. Hi Clarisa! I agree, the cherry hot pepper is totally optional and while I never claimed this recipe to be authentic, the mild heat of the cherry hot pepper (more mild than a jalapeño) is SO delicious with the sweetness of the mango. Also, just to clarify, the beans were not dry. 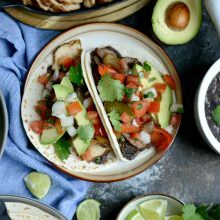 The cuban style black beans photographed were made and shot for a blog post earlier in the day so they may be a little thicker but definitely NOT dry. Although it may seem that way, beans are tricky like that, especially when photographing them as the saucy liquids like to sink to the bottom of the pan or dish. Thanks for taking the time to comment and for stopping by! Truly beautiful ! Thank you ! Looks just delicious. Grilled chicken is one of my favorite flavour. 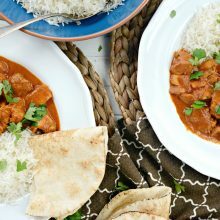 I hope you give this recipe a try, it’s delicious!